Hyderabad, the sprawling capital of the Nizams, offers an amalgamation of Turkish, Arabic and Mughal cuisines with a touch of local flavors. Often called the Deccani cuisine, Hyderabadi Cuisine (Hyderabadi Foods), it comprises an array of mouthwatering dishes from the famous Hyderabadi Biryani to delicious kebabs and delectable sweets and desserts. The Nizams had a passion for food and architecture which is clearly reflected in the culture of this truly cosmopolitan city. Though it is not possible to narrow down the various dishes that the city offers, here is a list of ten must try Hyderabadi foods that you cannot afford to miss. With its exotic flavors and aromatic taste, Hyderabadi Biryani is no doubt the most famous and best loved dish of the city. 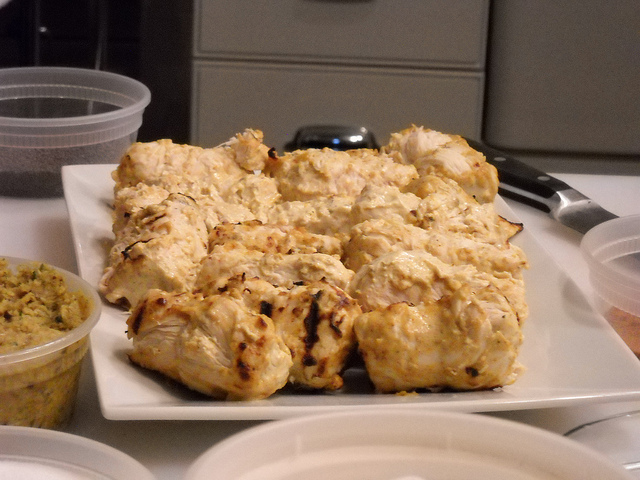 It originated as a blend of Mughal and Iranian cuisine during the time of the Nizams. Prepared with rice and mutton, it beats all other biryanis in popularity and taste and has almost become synonymous with the city. 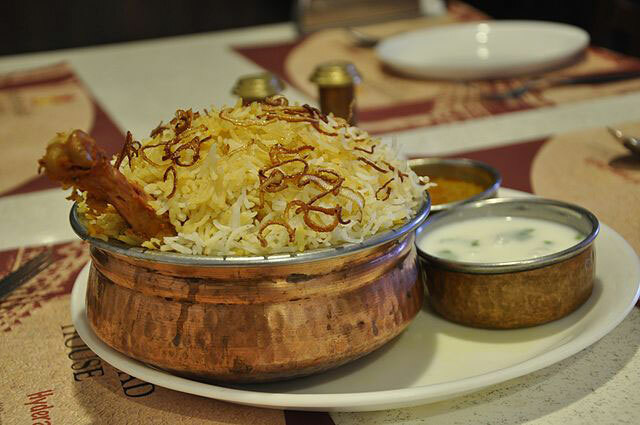 A vegetable version of the Biryani made with carrots, beans and other vegetables is also available. It is offered in almost all hotels and restaurants of the city. Laden with spicy flavors and delightful aroma, this meat preparation with thick gravy and shallow fried vegetables is popular with both locals and tourists. It is usually made with potatoes and French beans but seasonal vegetables are also used to make this wacky food combination. It is a preparation of green chilly with a hot pungent taste that is typically eaten as a side dish with the Hyderabadi Biryani. The coconut paste, groundnuts, sesame seeds, tamarind pulp and powdered spices form the thin gravy of the fried chilly that gives a refreshing flavor. A classic Hyderabadi delicacy, one bite would give you a true experience of those famous dinners of the Nizams. 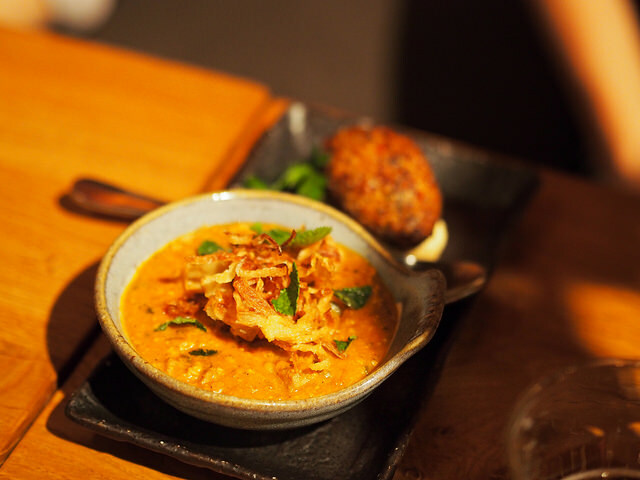 The first meat product of India to get a GI certification, Haleem has evolved into an international dish that is an absolute favorite of meat lovers. Basically, it is a mutton stew cooked in a mélange of spices with lentils and pounded wheat to make a thick paste. Haleem is a must have dish for all celebrations and is the highlight of Ramzan season. Almost every eating place in Hyderabad offers this traditional meat dish but Shah Ghouse café is considered the best place for this delicacy. Dalcha is a mutton and lentil delicacy prepared with unique spices making it a truly satisfying repast. An all-time favorite in Hyderabad, Dalcha is loved for its juicy aromatic flavor and enticing taste. 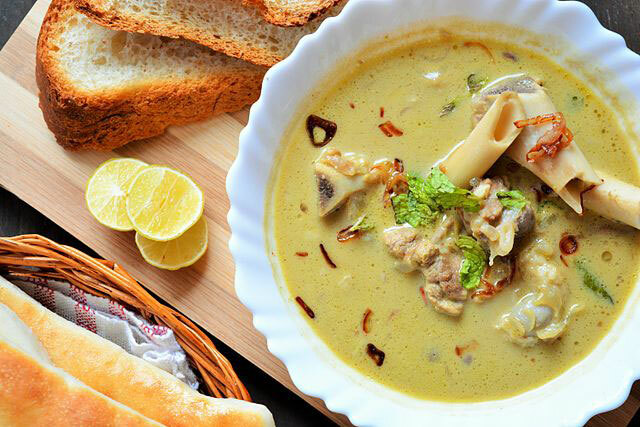 The hunt for Hyderabadi food is incomplete without this drooling mutton stew made with lamb bones and tongue. It has an exotic aroma of ghee with local spices that simply leaves you filled and satisfied. It is a spicy preparation of purple baby eggplant stuffed with a paste of coconut, sesame, groundnuts and spices. 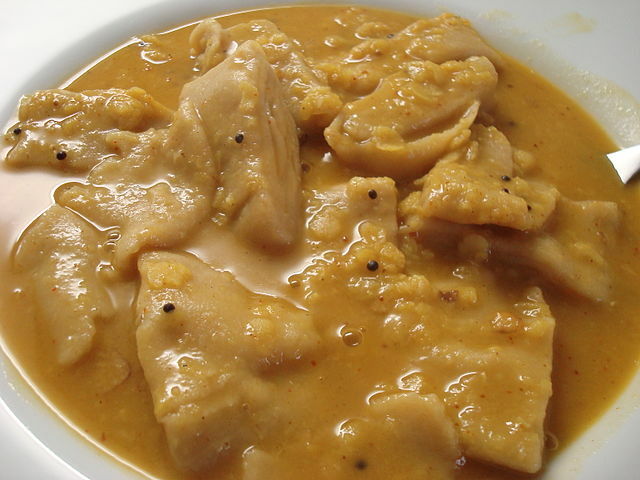 A total hit with both vegetarians and non-vegetarians, it is eaten as an accompaniment to Hyderabadi Biryani or roti. 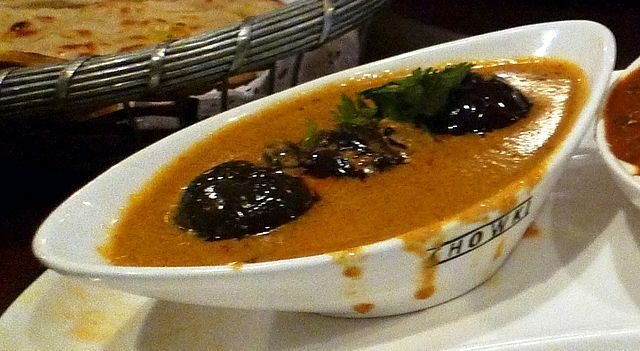 It was introduced by the Mughals and today it forms an integral part of the city’s food culture. Filled with true Hyderabadi richness, this is a favorite dessert made from fried bread slices soaked in hot milk infused with spices like saffron and cardamom. A filling delicacy for all with a sweet tooth, Double ka Meetha resembles Shahi Tukda but has a distinct texture and taste of its own. This is a delectable spicy soup which is absolutely delicious and forms an important part of wedding cuisine. Made with tender mutton pieces and bones, it is not as thin as traditional soups but has a thicker texture of cashew nuts and cream. 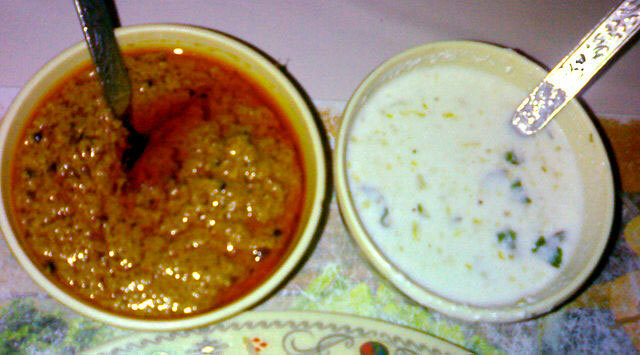 It is often served along with Sheermal and Roomali roti. Marag can be had at all popular restaurants serving authentic Hyderabadi food. A culinary masterpiece, Badam ki Jali is the true iconic sweet of Hyderabad that is reminiscent of the rich Nizami tastes. 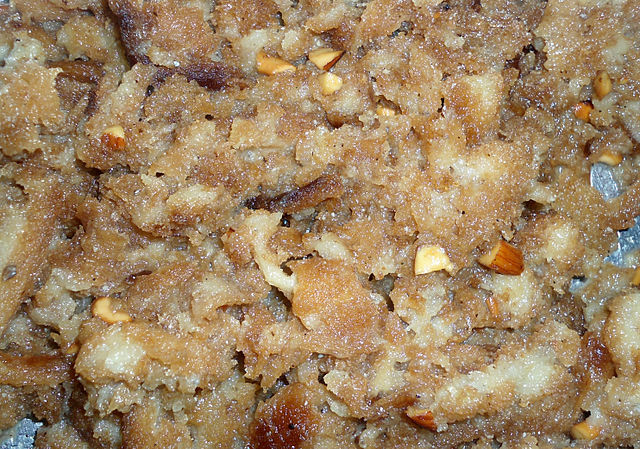 It is a traditional Hyderabadi dessert prepared from almond and sugar. The famous Aziz Bagh Badam ki Jali is so yummy and tooth some, that it bears no comparison. With its myriads of exclusive and exotic dishes, Hyderabad is indeed a paradise for food lovers. In fact, a visit to the city is a must for all sworn foodies. No wonder, it is a much sought after place for everyone looking for interesting and wacky dishes. Rohit is a sworn foodie who loves to travel around and try out all kinds exotic dishes. He likes to share his delectable experiences with other food lovers. You can read more about his stories at TransIndiaTravels.com. such a delicious food. Must try..